"Rapidez y profesionalidad!! Estoy encantada!! gacias"
price: (Retail)	24,20 € tax incl. 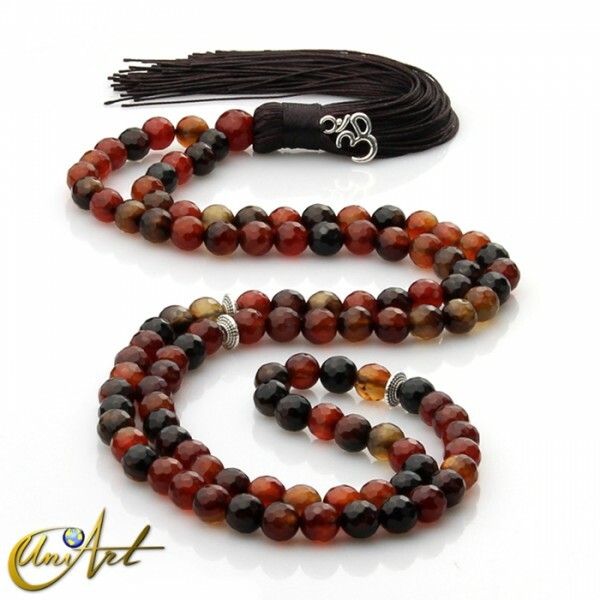 Japa Mala of agate in 8 mm faceted beads. 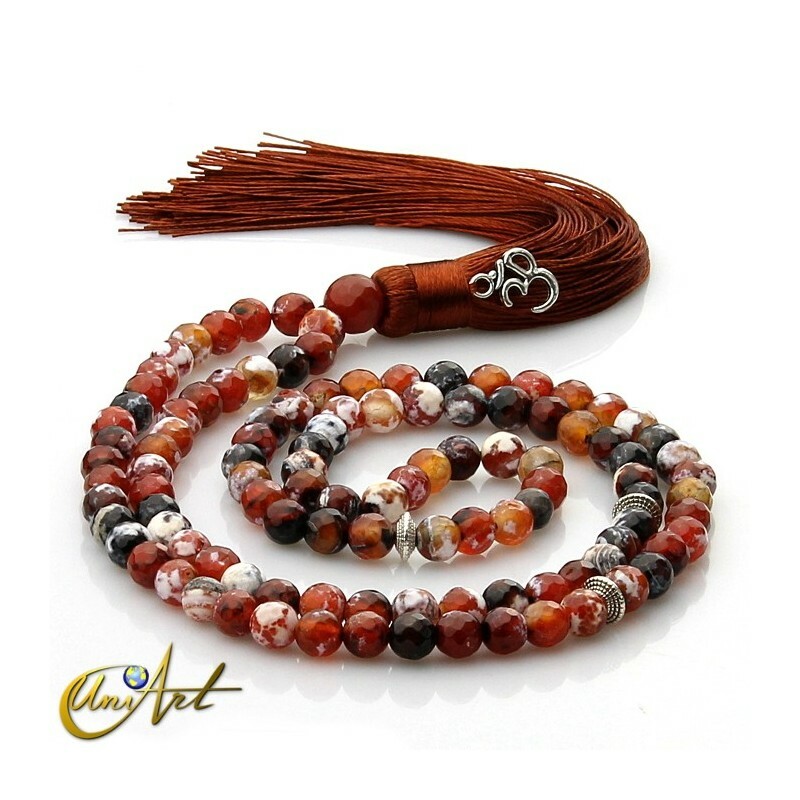 It is a cute model of Japa Mala made with faceted beads size 8 mm and can be purchased in three types of agate: ember agate, miracle agate or grizzly agate. 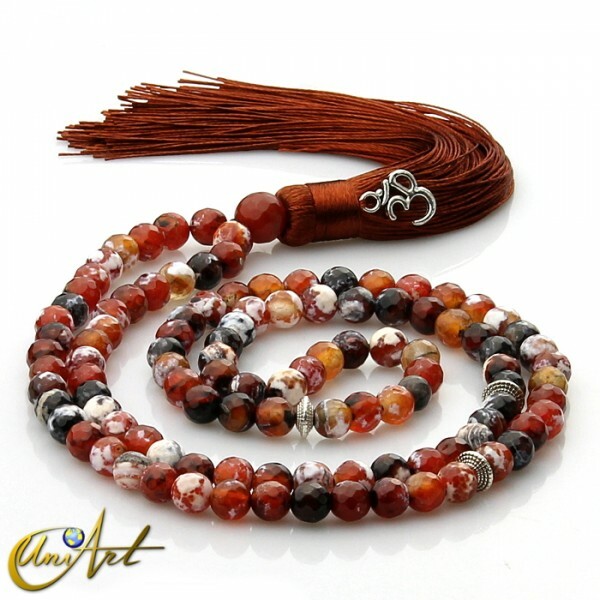 It has a delicate pendant in the shape of OM and its approximate length is about 80 cm without measuring the tassel. 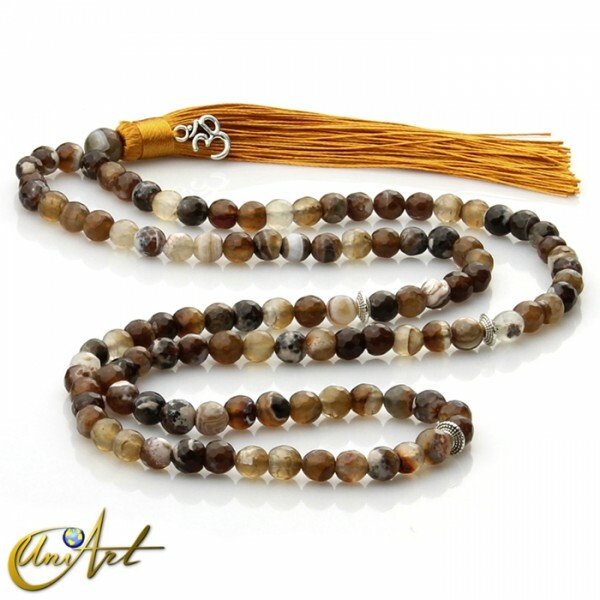 The number of 8 mm beads is 108, divided by metal spacers for every 27 beads. The terminal bead is 10 mm.